OFFER: Winter Sale Ending Soon! At Scala we have brought together a team of highly skilled craftsmen specialising in the design, production and installation of quality bespoke stairs, balustrade and further commissions. A family based business of almost 50 years; we pride ourselves on maintaining a high quality service with our friendly and experienced team. One of our design specialists can guide you throughout the whole process from concept to completion. We are proud to offer a comprehensive service and accept nothing less than total client satisfaction. Our inspiration is driven by our desire to expand the boundaries of materials synergy and design possibilities. We work closely with architects, interior designers and directly with the client as each project requires. Cheshire Mouldings are the UK's biggest supplier of stair parts, decking, mouldings. Manufacturers of the finest bespoke stairs, balconies and railings. Our skilled staff craft each piece from premium woods and metals, tailoring it to you and your property. Experience, expertise and an eye for detail; established in 1996, Abbott-Wade were one of the first companies in the UK to specialise in bespoke staircase renovations. Over 20 years on, we continue to pride ourselves on offering outstanding craftsmanship and only the finest products, all sourced and manufactured in this country. However, what really sets us apart is our unbeatable service. Medlock are a family run business based Cheshire, servingthe North West of England. We specialise in the renovation and refurbishment of existing staircases. Vale of Wigan Ltd specialise in manufacturing bespoke hardwood staircases and modernising existing stairs. A typical stairs renovation will be completed in just 2 days. In which time Vale of Wigan will have transformed your tired old stairs into a stunning new focal point for your home. With no mess or fuss, we will remove all the non-structural elements such as the newel posts, spindles, handrails and base rails, we’ll replace with solid wood and wood veneers which gives the impression of a complete new staircase. We offer a large choice of excellent materials to renovate your stairs with. Our range includes exotic hardwoods. Classic Oak, rich Walnut and American White Ash are probably our most popular types of hardwood for a more traditional look. If you’re looking for a contemporary glass balustrade to really open up your hallway, we will install 10mm thick toughened glass panels. The glass panels can either be installed using chrome glass clamps or it can be installed “in-Line” which is grooved into the new handrail and base rail for a minimalist look. We offer a variety of glazing options including the almost colourless Opti-White glass as well as tinted and obscure glass. For an ultra-sleek and smart looking staircase we also have a large range of chrome and steel spindles and handrails including the popular Axxys range. Every option will be discussed with you to offer you a truly bespoke service tailored to your own taste and budget. Terry Lifts have over 45 years of experience in the lift industry. We design and manufacture many of our lifts in the UK. Our product range includes a wide range of lifts for domestic access, including home lifts, through floor lifts, platform lifts and step lifts. As an ISO 9001:2015 quality certificated manufacturer, we pride ourselves on our safe and easy to use products and excellent level of customer service. Our lifts carry the CE mark and comply with Part M of the Building Regulations & British and European standards where appropriate. Based on the border of Essex and Greater London, Greater Manchester and South Wales we cover nationwide to provide our services to the whole of the UK. With over 60 years experience in stainless steel, steel and glass design and fabrication, we tackle the most complex projects in our specialist field. 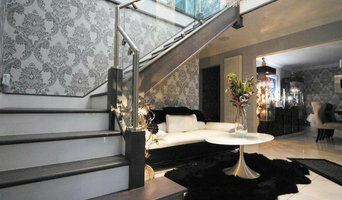 Scala Interiors offers beautiful, bespoke decorating solutions for a wide range of professional and personal properties. Why should I hire a Timperley, Greater Manchester staircase designer or builder? They may look like a simple set of steps, but staircases can actually be quite complex to construct and so staircase refurbishment should be left to the professionals. 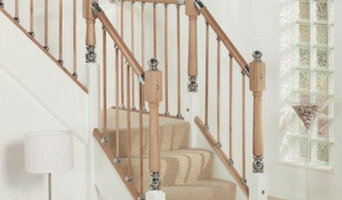 Even seemingly simple fixes, such as replacing stair spindles, can be tricky if you’re not familiar with banister structures – banister installers or staircase manufacturers in Timperley, Greater Manchester will be able to carefully replicate and replace any old stair spindles efficiently for you. But what if you don’t even want stair spindles for your banister? Maybe you don’t even want a banister at all but instead want a floating staircase or just a handrail on the side of the wall? With staircase designers and manufacturers in Timperley, Greater Manchester, the sky’s the limit and there are all sorts of staircase designs to choose from. If you want the ultimate modern look, glass staircases with matching glass balustrades or balconies will be clean and sleek, while cast iron spiral staircases will evoke a vintage edge to your room, and straight, wooden staircases with traditional newel posts are classic pieces in every house. The type of staircase you choose may depend on space and practicality, but if you have the scope to take your pick, there are a number of different staircase shapes – straight and spiral, naturally, but then also quarter and half landing, and winder and double winder staircases. Speaking to staircase manufacturers in Timperley, Greater Manchester and the staircase designers themselves will help you decide on the style and materials you want to use, and they may be able to come up with a unique stair design that will become a design element all of its own. 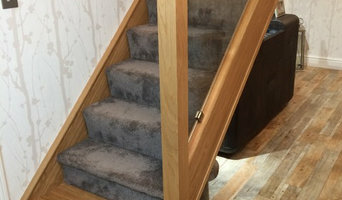 Stair renovation can be a big project and it is always important to make sure your stairs are safely installed and safe to use, so talk to any prospective Timperley, Greater Manchester staircase manufacturers about when you should have your stairs put in and how they will be installing them. You might want to have your contractor, builder or architect collaborate with your staircase designer or installer to make sure everything goes smoothly. Here are some related professionals and vendors to complement the work of staircases & railings: Architects & Building Designers, Interior Designers, Carpenters & Joiners, Design & Build. Find staircase manufacturers in Timperley, Greater Manchester on Houzz. Narrow your search in the Professionals section of the website to Timperley, Greater Manchester staircase designers and manufacturers. You can also look through Timperley, Greater Manchester photos to find examples of staircases that you like, then contact the contractor who worked on them.